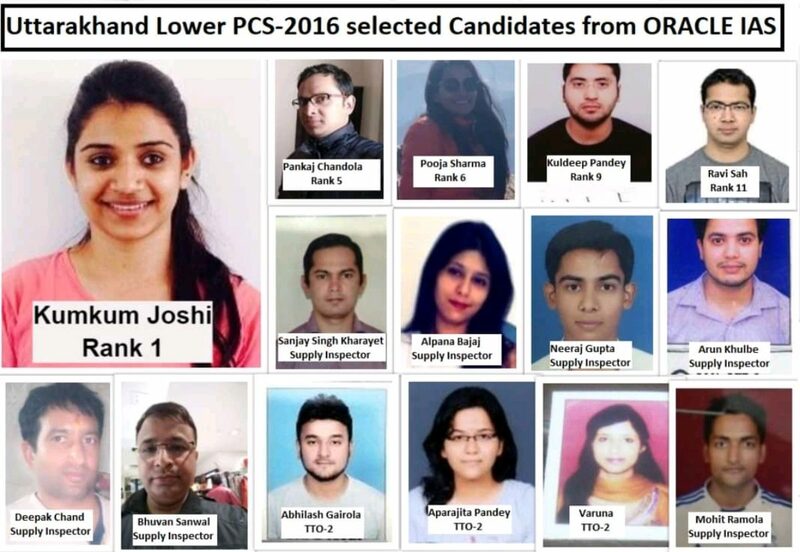 Oracle IAS, the best coaching institute for UPSC/IAS/PCS preparation in Dehradun brings to you UKPCS Science Chemistry (paper 6). What are the Main Properties of Water? pH (potential of hydrogen) is a scale of acidity from 0 to 14. It tells how acidic or alkaline a substance is. More acidic solutions, have lower pH. More alkaline solutions, have higher pH. Substances that aren’t acidic or alkaline (that is, neutral solutions) usually have a pH of 7. Acids have a pH that is less than 7. Alkalis have a pH that is greater than 7.pH is a measure of the concentration of protons (H+) in a solution. Typical indicators are phenolphthalein, methyl orange, methyl red, bromothymol blue, and thymol blue. They each change colour at different points on the pH scale, and can be used together as a universal indicator. Another way is to use litmus paper, which is based on a natural pH indicators. Acids have a pH of less than 7. Acid – substances that ionize (release charged particles when dissolved) in water solution to produce hydrogen ions, H+ , or free protons ie Donates protons. The stronger the acid, the lower the pH number. Acids turn blue litmus paper red. They turn universal indicator red if they are strong, and orange or yellow if they are weak. Bases have a pH of more than 7. 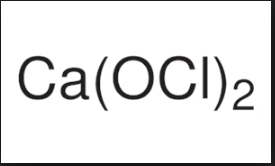 Base – substances that ionize in water solution to produce hydroxide ions, OH- ie accepts protons. 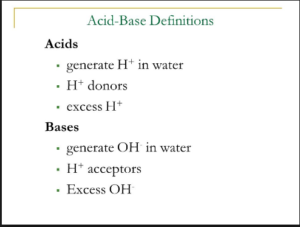 When bases are dissolved in water, they are known as alkalis. 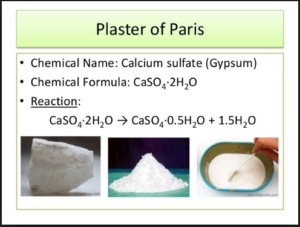 Substances that can react with acids and neutralise them to make a salt and water are called bases. They are usually metal oxides or metal hydroxides. For example, copper oxide and sodium hydroxide are bases. Bases that dissolve in water are called alkalis. Copper oxide is not an alkali because it does not dissolve in water. Sodium hydroxide is an alkali because it does dissolve in water. 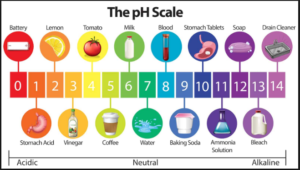 Alkaline solutions have a pH of more than 7. The stronger the alkali, the higher the pH number. Alkalis turn red litmus paper blue. They turn universal indicator dark blue or purple if they are strong, and blue-green if they are weak. Salts are made when an acid reacts with a base, carbonate or metal. 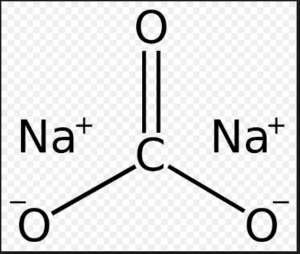 Salt – a crystalline compound composed of the negative ion of an acid and the positive ion of a base. The name of the salt formed depends on the metal in the base and the acid used. For example, salts made using hydrochloric acid are called chlorides. Buffer – a solution that can receive moderate amounts of either acid or base without the significant change in its pH. A buffer solution is an aqueous solution made up of a mixture of a weak acid and its conjugate base or a weak base and its conjugate acid. The solution resists changes in pH when a small amount of an acid or alkali is added to it. Buffer solutions are critical in keeping the correct pH for enzymes. Meaning Physical change refers to a change in which the molecules are rearranged but their internal composition remains same. 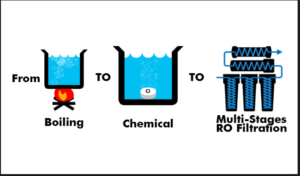 Chemical Change is a process in which the substance transforms into a new substance, having different chemical composition. Example Tearing of paper, melting/freezing of water, cutting of trees, etc. Burning of wood/trees/paper, rusting of iron, setting of curd, etc. Involves Change in physical properties of the substance, i.e. shape, size, color etc. Change in chemical properties and composition of the substance. Product Formation No new product is formed. New product is formed. Energy Absorption and evolution of energy do not take place. Absorption and evolution of energy take place, during reaction. Any substance consisting of two or more different types of atoms (chemical elements) in a fixed proportion of its atoms (i.e., stoichiometry) can be termed a chemical compound. 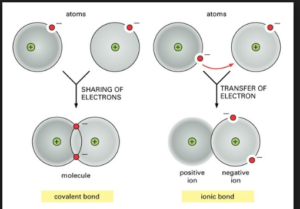 Ionic compounds are compounds composed of ions, charged particles that form when an atom (or group of atoms, in the case of polyatomic ions) gains or loses electrons. An anionis a negatively charged ion. At Oracle IAS Academy the DEDICATION and friendliness of Hemant SIR and his colleague is overwhelming They are genuinely interested in helping each of their students so that the student is motivated and becomes interested in facing challenges and is ready to explore his academic and creative ability . Both are patient and supportive and come extremely prepared.